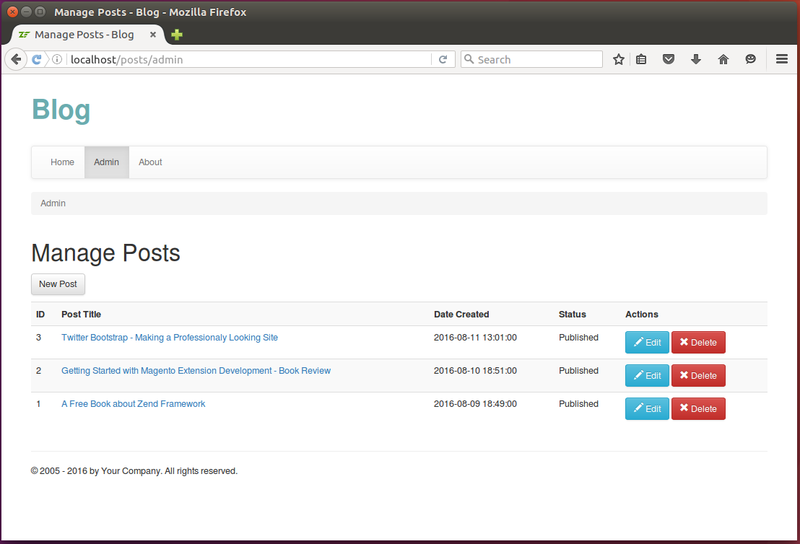 Admin page of the Blog sample web application contains the list of all blog posts (either published or drafts), and allows to view, edit and delete posts. * the list of posts with an ability to edit/delete any post. * Returns status as a string.